FRIENDS, WE ARE GATHERED HERE today to remember the life of Walter Hartwell White. I’m sure many of you are aware that Jewish tradition does not permit eulogizing a mass murderer, con-artist, or illegal purveyor of Methamphetamine and Walt was all three. To say that I wasn’t surprised to see hundreds of picketers outside of my Synagogue in protest of today’s event would be the understatement of the century. But I believe that something deserves to be said about this man who lived a truly noble life for the first 50 of his 52 years on this earth. More importantly, Walter White’s death will give us the tools, if we apply ourselves, to prevent us from making the same mistakes as he. In this way, Walt’s life will have some redeeming value, though i’m not sure whether God will take that into consideration when determining his fate in the next world. Walt was a kind man, a loyal husband, good father, and a great science teacher. He cared for his students and motivated them to achieve greatness. That all came to a screeching halt upon receiving his cancer diagnosis. It hit him like a train. His life stopped. He didn’t know what to do. Please don’t misunderstand me. 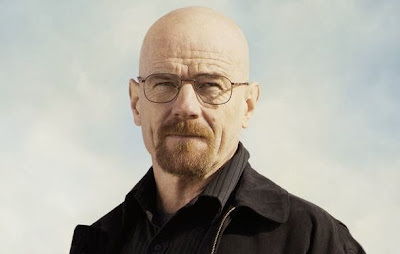 Cancer wasn’t the cause that slowly transformed Walt into the evil Heisenberg. Cancer was merely the gash that re-opened his past wounds. It brought to the fore his two greatest hurts and regrets which lay dormant in his body and soul for so many years: breaking off his engagement to long-time girlfriend, Gretchen Schwartz, and leaving the multi-million dollar company they started together with her husband, Elliot. To this day, I don’t quite understand the circumstances surrounding their breakup or departure from the company; but I know that he regretted these decisions. It pained him and angered him greatly. He was jealous of their wealth, envious of their status, and upset with himself for leaving it all behind. Nevertheless, he was a proud man. So proud that he refused to return to the company when offered the opportunity. So proud that he refused their ‘charity’ to help pay for his medical bills. For so many years he managed to subdue the anger, rage, and jealousy that resided deep within him. He managed to keep his skeletons in the closet. 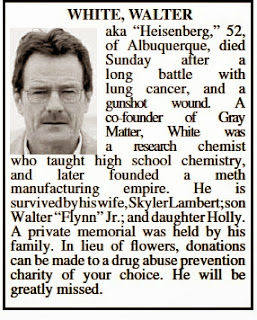 He truly loved his wife, Skyler, kids, Walt Jr. and Holly. While the diagnosis gave him pause to reflect on all the good he experienced in life, it also reminded him about his regrets and mistakes. Knowing that he didn’t have much time to live, Walt panicked, lost control of himself, and decided to make money cooking and selling crystal meth. He convinced himself that his previous life was a bore; that nothing he did as a teacher was of any true value. Additionally, because of his meager salary, he realized that he wouldn’t be able to leave much, if anything, for his family after his death. One thing led to the next and soon enough the kind and gentle Walter White transformed into the evil and maniacal Heisenberg. In ethics of the fathers we are taught that “Jealousy, Lust, and Honor” remove a person from the world. Walt possessed all three of these terrible traits. He was jealous of Gretchen and Elliot, lusted for money, and was an ego-maniac. True to their word, these evil traits caused Walt to become a shell of himself. He no longer lived in his own body. Walt’s downfall was in his inability to cope with his past mistakes. He allowed the past to turn him into a monster. Walt’s failure to cope is a challenge that all of us are faced with at various points in our lives. We all have skeletons in our closets. We have hurts, losses, and jealousies, which we have placed deep in the recesses of our subconscious’s. We move forward and manage to live happy and fulfilling lives despite our past. Like Walt, however, there’s no button to delete our past experiences once and for all eternity. It’s part of our identity and formation as human beings. So I ask all of you this morning: when we are confronted with a similar experience of grief or loss will we be able to control our emotions and the collateral damage it may cause? Will the reminder of our past failures and greatest regrets sink us into depression? Will it make us angry? Will we lose ourselves and turn into someone we never wished we’d become? Or will we seek help? On the last day of his life, Walt admitted to Skyler that a life of crime made him feel ‘alive’ and that he ‘liked it.’ Even so, if given the chance to start over, I am certain he would choose a different route. It’s not the life he truly wanted. As Jesse confronted his demons and personal struggles throughout their two year partnership, Walt would manipulate him to ‘move on’ from his past mistakes. “You can’t control the past,” he would say as he schemed to rein Jesse in. Walt was somewhat correct. You can’t change the past, but you can control whether you let past experiences control your life in the present. Ironically, the master of manipulation couldn’t control his own past. And that’s what caused him to break bad. As we continue to live our lives and deal with the personal skeleton’s hiding in our closets, I hope and pray that unlike Walt, we will not break bad. Seek professional help and place our trust in the care and support of family and friends. In so doing, our regrets and hurts will always remain a thing of the past, and our future will shine every so brightly. Rabbi Joshua Hess is an Orthodox rabbi in New Jersey and the co-founder of the PopJewish.com blog with Rabbi Jason Miller. 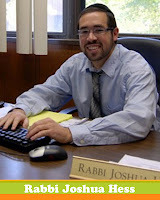 Follow him on Twitter at @RabbiHess and on Google Plus at +Joshua Hess.